Country singer Marty Robbins stars as a version of himself except that in addition to singing he also races stock cars. Marty can drive anything and win, more so when his brother Del builds it. However when Del decides that he's tired of Marty getting all the glory he walks away from his brother to do his own racing. However he ends up working for moonshiners and heading toward trouble. 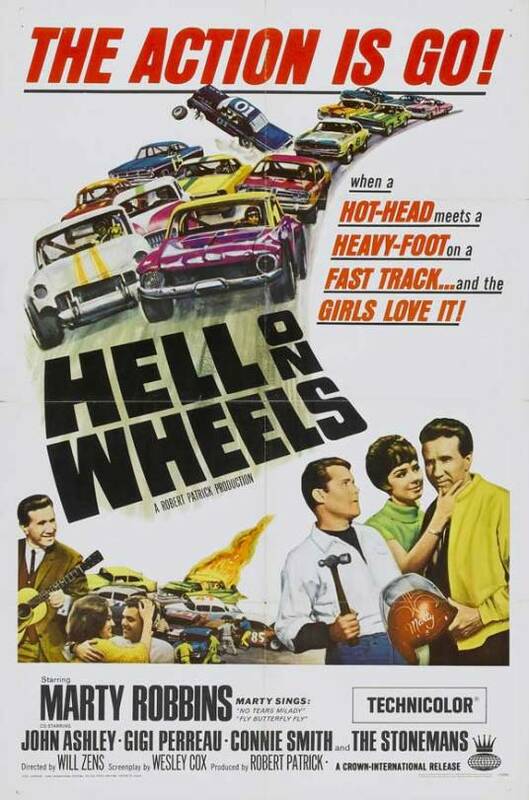 Better than it has any right to be drive-in style film is full of racing and singing. To be honest there is a bit too much music, but it's understandable considering that Robbins is the star. The problem is not that the music is there or that the songs are bad, they are actually all pretty good, rather it's that the musical numbers are dully filmed with the camera more or less nailed to the floor. The films other weakness is that the film in the film is the fact that the whole moonshiner subplot ends up getting lost. After the initial introduction of the moonshiners they disappear and we just follow some government agents who randomly appear to perform a raid. Its not until the final 20 minutes that the moonshiners show up again. That said the film still is pretty good. Decidedly not high art the film still hold one's attention thanks to good performances, Robbins actually can act, and some brother against brother tension that remains real. And of course the racing is nicely handled with footage of real races intercut into the story so as not to seem out of place. If you can watch this with the right frame of mind and realize that it was made fast, cheap and to fill a double bill in drive-ins across the American South you'll have a grand time.